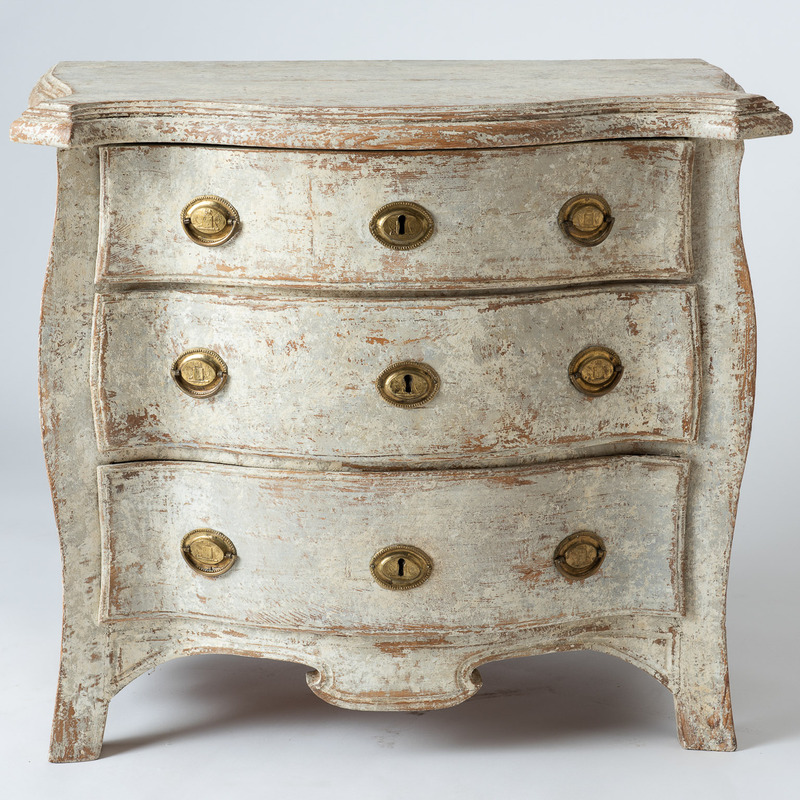 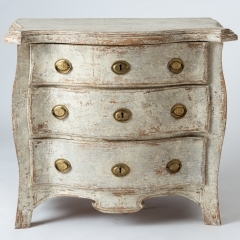 This sturdy chest is all about curves and robust details. 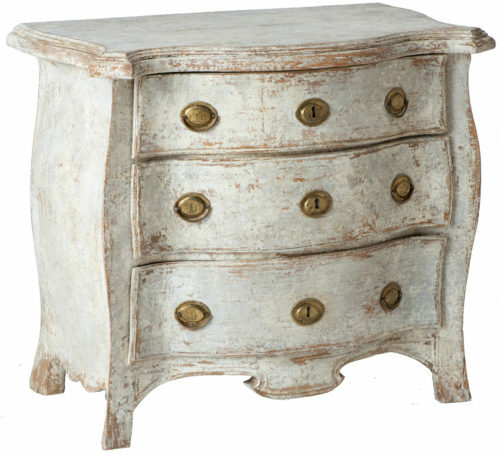 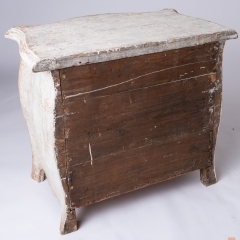 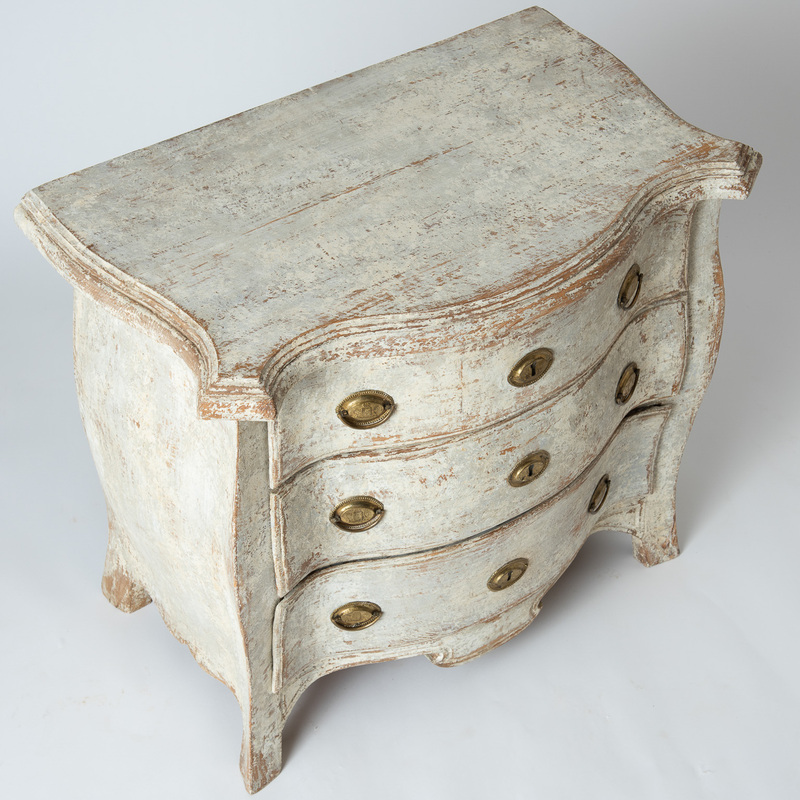 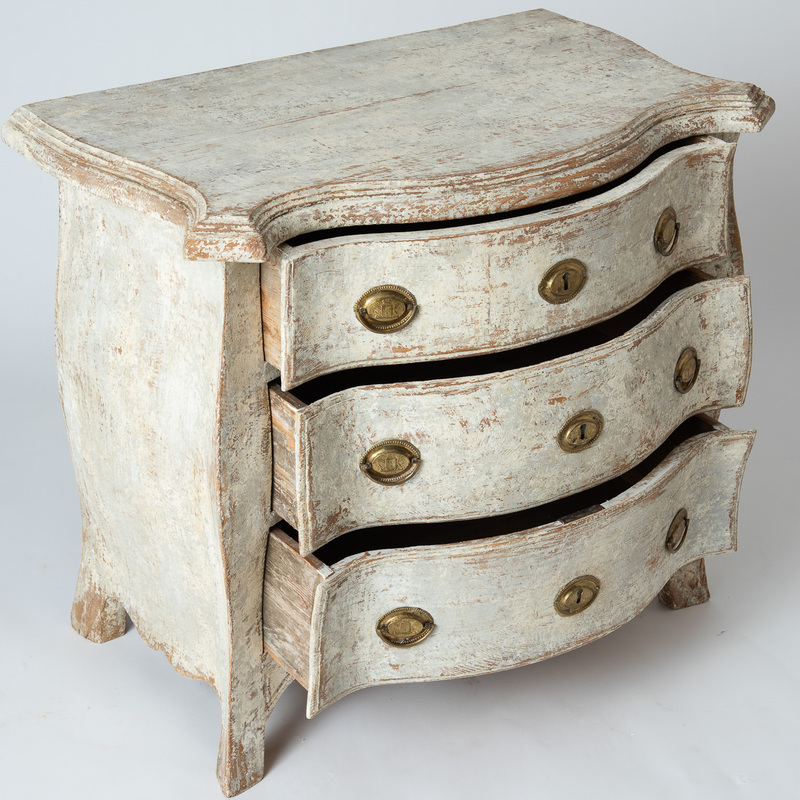 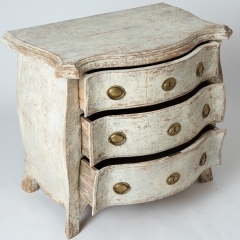 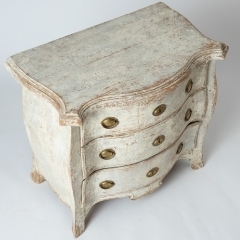 The top, carved from a thick piece of wood, has double tiered curved corners framing the sides which end in sturdy feet. 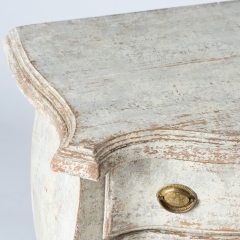 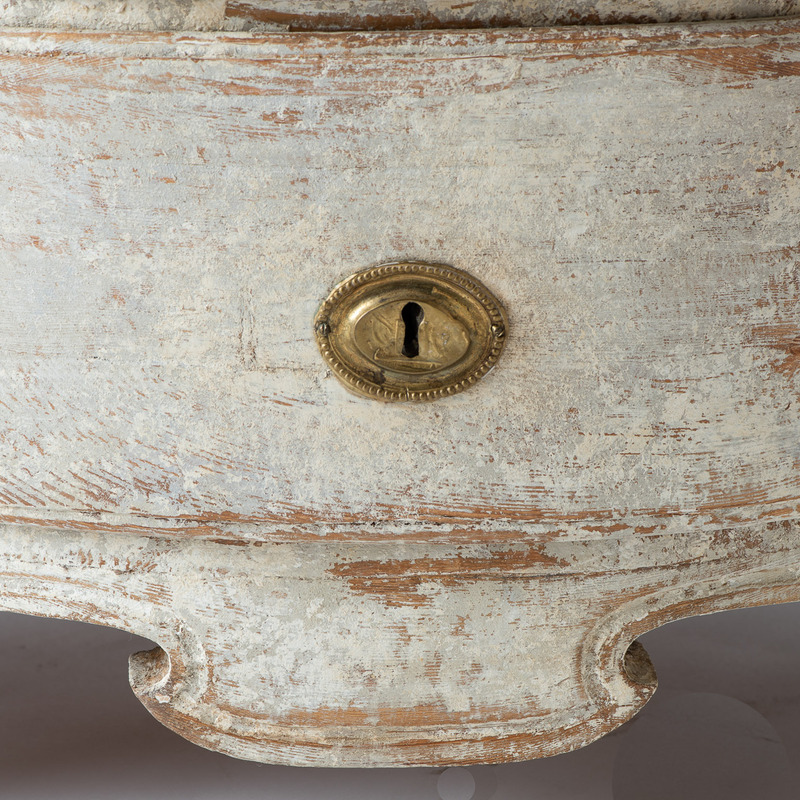 The base has a carved detail echoing the curves of the top. 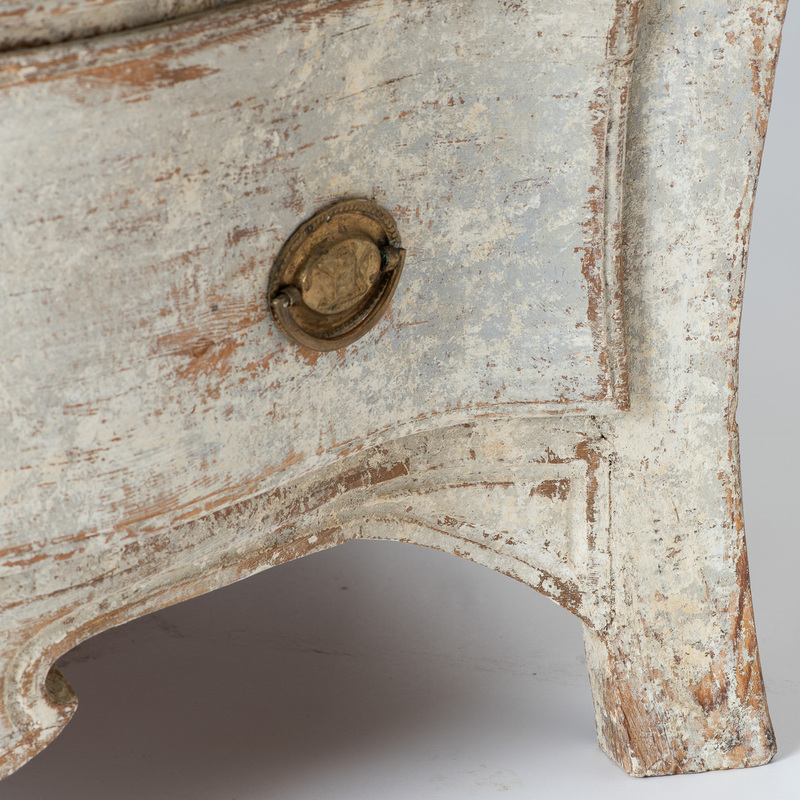 The end result is a proportion that is pleasing to the eye. 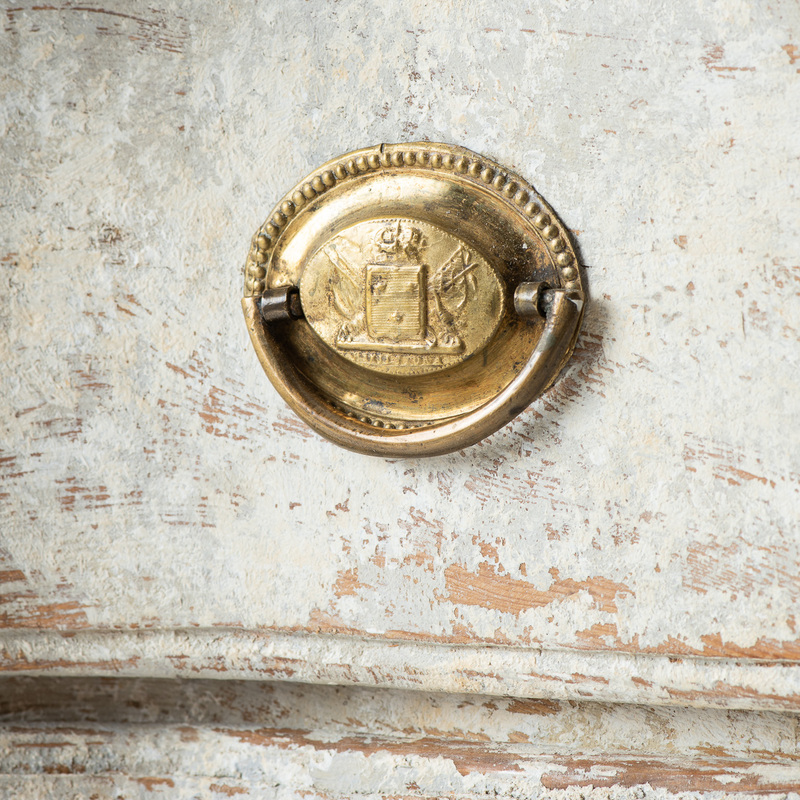 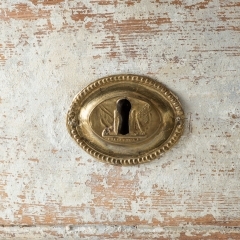 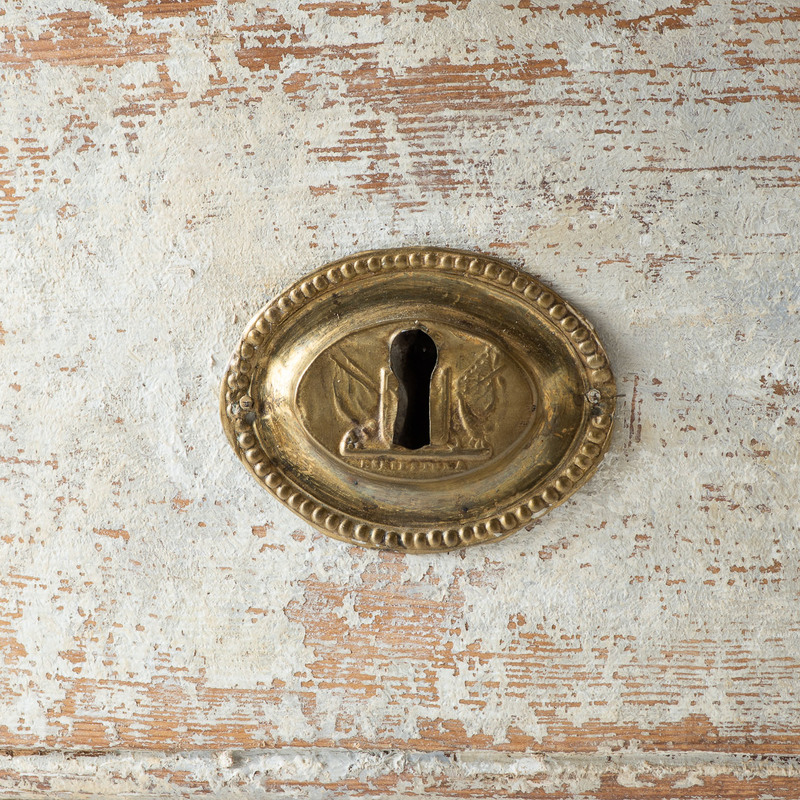 Brass hardware accentuates the drawers and the old white paint is in good condition.